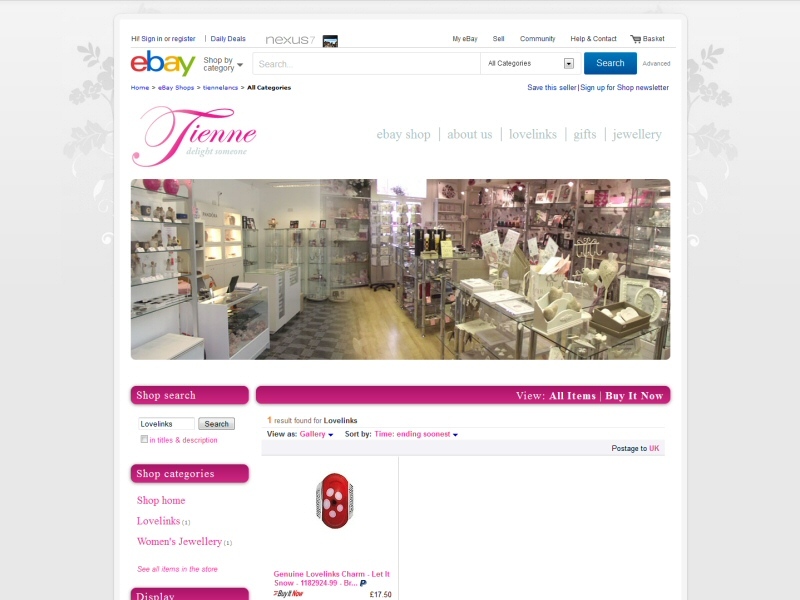 A styled and branded template for your eBay shop front can dramatically increase salesWhether you're starting a new business posting items from your own home or you're an established shop looking to sell your products on-line, eBay shops are quick to set up and offer a ready made audience for your goods. For a small monthly fee, eBay shops offer much cheaper listing prices than those charged to individuals, along with a host of tools to make selling easier. 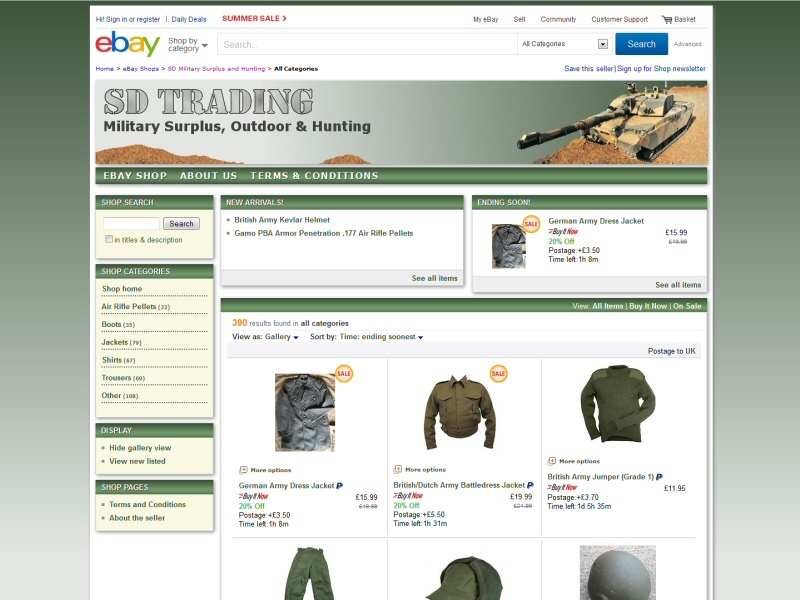 EasierThan Website Design can help you set your shop up and make sense of eBay's many rules and options. We can also provide advice on what works and what doesn't with regards to marketing your products on eBay. Most importantly, we can add branding and styling to your shop front to present a more professional image, thus increasing the likelihood that eBay users will buy from you. Existing customers have told us that adding simple branding and styling to their shop helped to improve customer confidence and dramatically increased their sales and the cross selling of other items in their store. If required, we can Register a Domain (website address) for you, giving you an easily memorable address to add to invoices, packaging, business cards and letterheads, etc.. 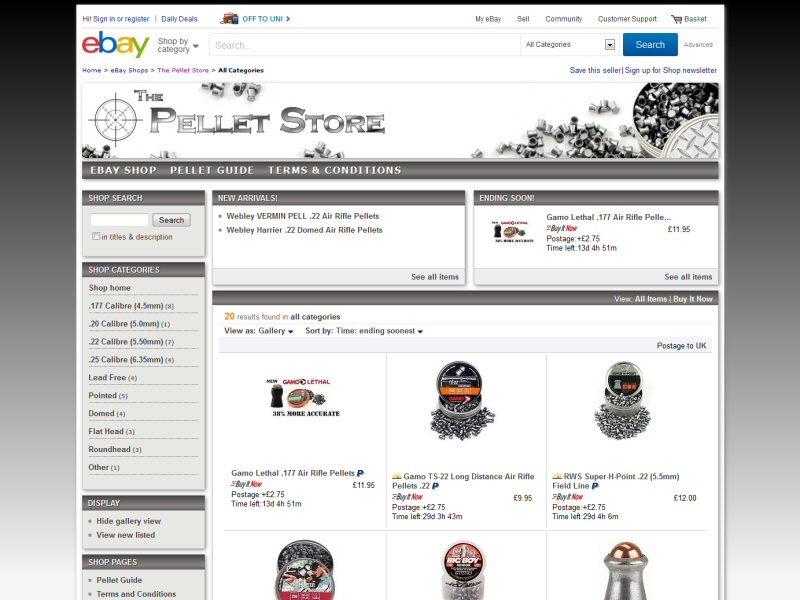 This can then automatically point to your eBay shop or we can create a One Page Website as a holding page, which will introduce your business and its products, then direct visitors manually to your eBay shop. If you're thinking about your own on-line shop, eBay is a quick and cheap way of testing the water to make sure that demand exists and that you can make money from it. And in many cases an eBay shop will turn out to be all you need, but if you want to progress beyond eBay, we can help with a full ecommerce site hosted at your own domain. However, we would always make sure you were doing it for the right reasons, namely to ultimately generate more sales, NOT simply to save money on eBay fees. Whilst the combined 10-15% that eBay and PayPal take from you might seem a lot, you need to consider that eBay provide you with national and international customers without the need for any advertising. With your own shop, unless you have a product everyone wants for which there is no competition, getting a good ranking in Google can be a major undertaking, easily swallowing any savings you might make from not paying eBay. 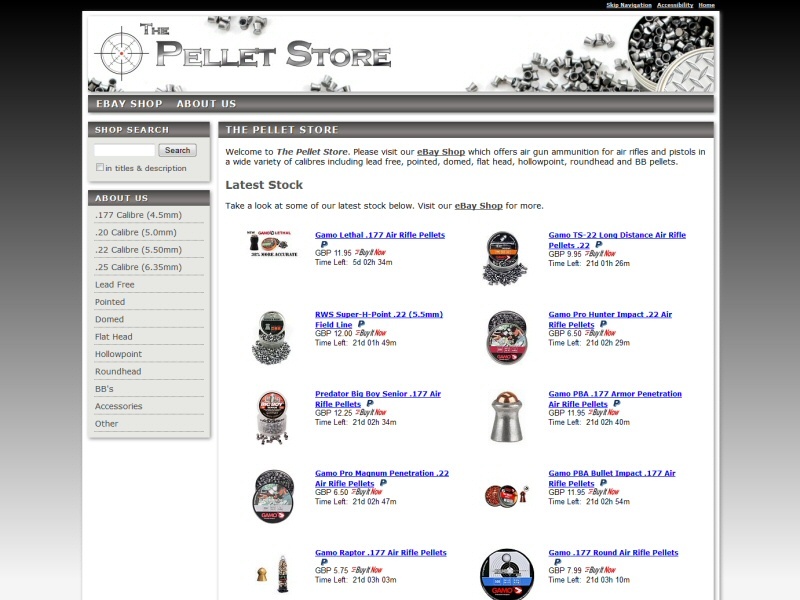 For more information, please take a look at our On-line Shopping Website page. Why not Contact Us to discuss getting more from your eBay shop? 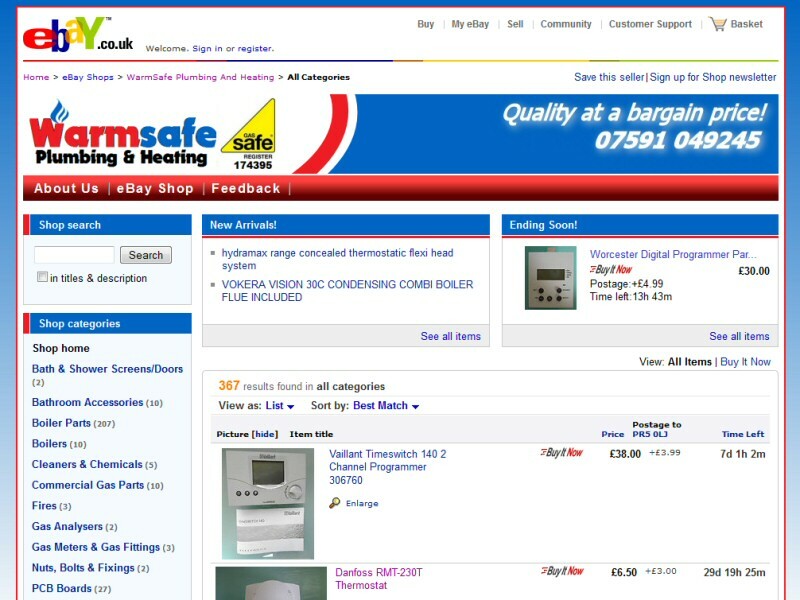 eBay Shop designed to look like the customer's existing third party website. Custom design for an eBay Shop to present a more professional image and generate more sales. 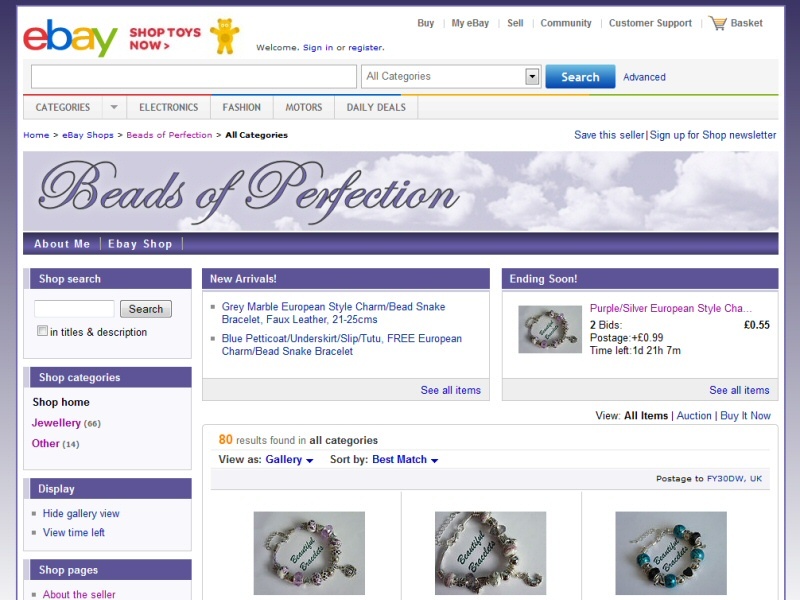 Bespoke branding of an eBay Shop to encourage higher sales. 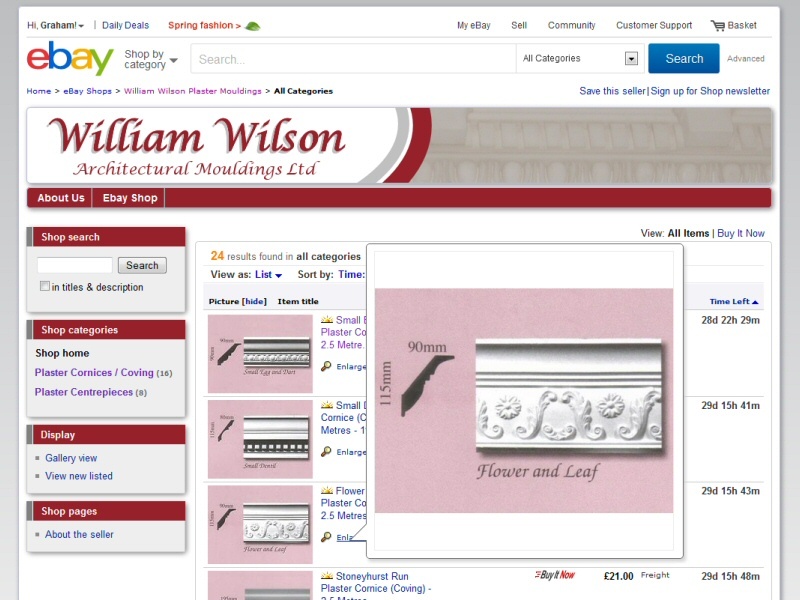 Creation of an eBay Shop to compliment the main website, drive traffic to it and increase sales of in-house produced plaster mouldings. Advice on usage and branding of their eBay Shop, along with the creation of a Facebook page. 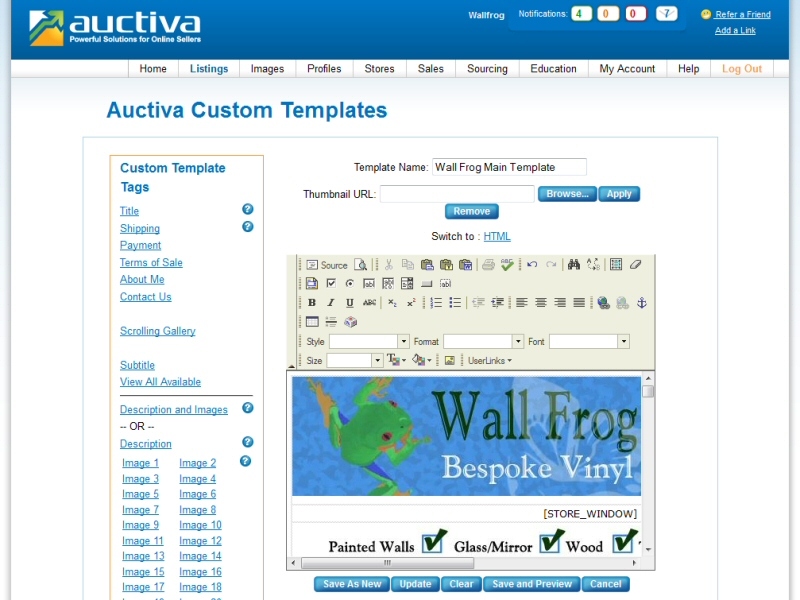 Help with setting up a custom template and use of Auctiva auction tool for a forthcoming eBay store.